For computer enthusiasts one of the major questions has always been Mac vs. PC. Most people prefer one over the other, while some are fine using either. The problem with having two popular non-compatible computer systems is that they each use proprietary file types. For documents, the answer was developed by Adobe: the PDF. Today, we’ll take a look at Portable Document Format. The PDF is best known for promoting the sharing of information as it was created. A PDF looks the same whether it is in digital format or if it is printed to paper, no matter what OS is being used. Before this format was created, sharing information between the two was extremely difficult, but in 1990, Adobe co-founder John Warnock wrote a paper titled A Camelot Project, in which he described the limitations of sharing information. He would go on to found Team Camelot, the group of software developers that created the PDF, a file that can be universally shared across all computing platforms. At first, however, it held very little utility as users had to purchase Adobe Acrobat in order to use the file type. Team Camelot, however, built additional functionality as the Internet got more popular, and as its utility increased, it was eventually adopted by the International Organization for Standardization and opened up to the masses. 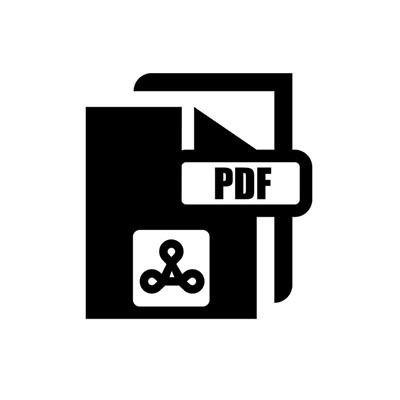 Digitally Created PDFs - PDF files created in a digital environment, whatever that environment might be (Windows, Mac OS X, Linux, Android, etc.). These PDFs are fully customizable and editable. Scanned PDFs - A Scanned PDF is effectively an image of a document. They are not inherently customizable, but there is software that can be utilized to change that. Searchable PDFs - Thanks to Optical Character Recognition (OCR) software adding an editable text layer to an image layer, a PDF becomes searchable. This process enables greater interaction with PDFs like this. In a document management system, many document scanners come with the kind of software users need to convert a scanned PDF into a searchable PDF. As such, it is a core component of a paperless office. PDFs have shown to be extraordinarily useful for businesses. They are convenient to use, universally compatible, and can be extremely secure. For more great technology information, return to our blog regularly.